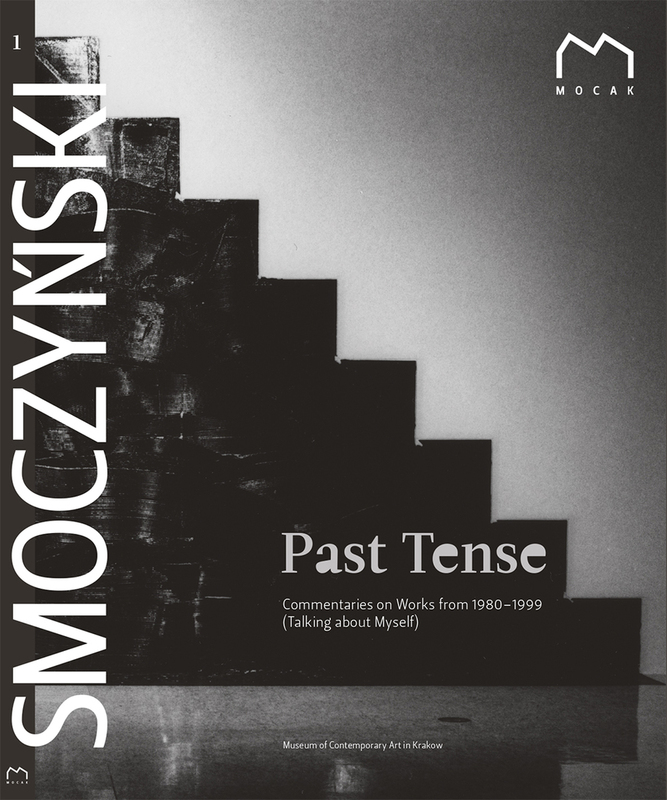 The publication titled Past Tense consists of two parts: Commentaries on the works created from 1980 to 1999 (author's abstract) and Collection – a photobook. Both volumes are part of Mikołaj Smoczyński's legacy bequeathed to the Museum of Contemporary Art in Krakow by his heirs. The publication is thoroughly authorial, prepared and arranged by the artist himself. Initially, both volumes were meant to strictly complement each other. In the final version, however, the artist has abandoned the idea of complete concurrence and thus both parts remain largely independent, though mutually complementary narratives. The first volume (in its Polish and English versions) comprises a unique authorial text addressing the theoretical, ideological and technical aspects of Smoczyński's art. The second volume comprises creative photographs taken by the artist to document his artistc activities. The book offers excellent insight into that part of the artist's work which was set up in specific exhibition spaces for the time of the exhibition and has been preserved exclusively in the form of photographic documentation.